Free download ToDoList latest version. ToDoList is a rare form of task management tool, one that allows you to repeatedly sub-divide your tasks into more manageable pieces whilst still presenting a clean and intuitive user experience. 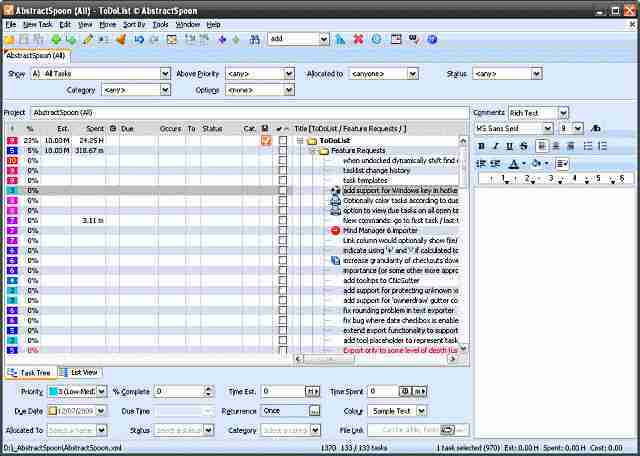 ToDoList has been in continuous development for the last 10 years and is an ongoing project. Your tasklists are stored in XML which provides many opportunities for advanced formatting and printing using stylesheets. ToDoList’s flexible design makes it ideal for both IT related projects as well as more general GTD uses. You can send feature requests and respond promptly to all reports of bugs or unexpected behaviour to its developer.